The Caspian Caviar Gold Cup has much the same feel to it as the Bet Victor Gold Cup which was run here in November. The distance is the same and there are five horses line up here that ran in the Bet Victor Gold Cup. The one change is the Bet Victor Gold Cup was run on the old course whereas the Caspian Caviar Gold Cup is run on the new course. For people that aren’t familiar with the differences, the main one for me is the new course, which they race on Saturday, has a longer run in which makes the new course more of a stamina test. On to the runners firstly I’ll start off with Aloomomo who earlier in the week was the favourite for the race. His trainer has since come out and voiced his concerns with regards to the ground and he wasn’t certain to make the final declarations with not much rain forecast in the lead up to the race, I wouldn’t be surprised if he didn’t run. The trainer did suggest they may wait until a week on Saturday for Ascot and hope for more rain to arrive. He did, however, say the horse was fit and well and he felt he had improved for a break. Personally, I’d prefer to use the form book as a guide and while he may have improved I’d like to see that improvement on course first before backing him. If we look at the handicap he raced in at the Cheltenham Festival where Ballyalton won, we had Bouvreuil in second. At the weights here Aloomomo can turn that form round with Bouvreuil but we can then link form from Bouvreuil with Village Vic, Buywise and Aso from the Bet Victor Gold Cup and Aloomomo has a bit to find with them. Kylemore Lough, I felt ran a nice race on his comeback at Ascot, we know he stays well and has Grade 1 winning form. While he has form on good to soft I do feel he would prefer softer going than what he gets here and that does put me off his chances. But on his run, last time I couldn’t totally write him off. Module I also felt was an interesting runner. He was having his first start after a lay off last time and if he can build on that he has the past form to figure here. He finished fourth in the Jewson back in 2013 over today’s trip and he went on to finish third in the Champion Chase the following year. He does have the past form to figure. A handicap mark of 152 is interesting if he can bounce back. Aso ran a nice race in the Bet Victor Gold Cup last time. He didn’t jump the last two fences very well but that was possible due to tiredness. He will have come on plenty for the run he’s is 3lb higher in the handicap today and I feel he will be in the mix again. Bouvreuil arrives here after finishing fifth in the Bet Victor Gold Cup the reports before that race was that connections had targeted him at the Bet Victor Gold Cup and based on that I’m not sure we will see an improved performance from him here. He travelled well through the race and I felt he had every chance if good enough. I don’t feel he is the easiest of rides he does look a little quirky. If we go back to January when he ran in a novice chase at Doncaster he beat Vyta Du Roc over 2m 3f who for me the trip would have been plenty short enough for his rival that day. Bouvreuil travelled well through the race and challenged at the last fence given how he was travelling I would have expected him to go on and win the race well instead he had to be driven out and he just didn’t appear to do much in front. Moving onto the handicap chase at the Cheltenham Festival he again looked to be travelling better than the winner Ballyalton but ended up getting outbattled. For me, at his current price, he doesn’t appeal as a win bet. Village Vic won this race last year off a handicap mark of 144 given how he ran last time in the Bet Victor Gold Cup off a handicap mark of 155 he was clearly nicely handicapped when winning this race last year. His two wins round here have both been on the new course. He is a straightforward horse who likes to bowl along in front he jumps well and shows a really good attitude. He has, however, gone up a further 3lb for last time and that makes him 14lb higher than when winning this last year, While I expect him to give another bold front running performance I do feel he could be vulnerable here now off his current handicap mark to something coming from off the pace. Buywise, as mentioned in the Bet Victor Gold Cup Podcast, has a really impressive record at Cheltenham and he enhanced that further last time by finishing third behind Village Vic he had Bouvreuil, Aso and Frodon behind him so he comes here with a really good chance. He has been raised 1lb in the handicap for last time but given how strongly he finished I’d have to think that won’t be much of a problem. His jumping isn’t always fluently which can lead to him losing ground but while the ground will be a problem for some of the other runners that won’t be the case for him. Ok, so why can he turn that form around with Village Vic? Well he is tried in a first time visor here and I think this could make all the difference. I think we could see him race with more enthusiasm and closer to the pace. He can hit a flat spot in his races before picking up again and running on strongly. If the visor makes him travel more strongly throughout the early and middle part of the race that in turn will have him closer to the pace when the race starts to develop so he won’t have the ground that he usual as to make up. For me, the visor is the key here and if he takes to it then I feel he has every chance of winning here. If he falls short again then given his past record over course and distance he again looks good value for a place. So where do we bet? So for me, I’ll be siding with Buywise Each Way for Saturday’s Caspian Caviar Gold Cup and hopefully, the visor can work its magic and get his head back in front given his consistency. I don’t think anyone would begrudge him winning this. 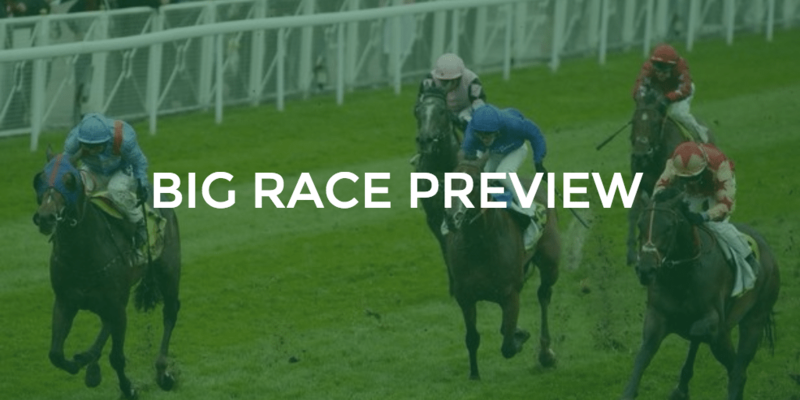 I hope you have enjoyed reading my preview of this week’s big race.